In July 1969, Canada native Brian Rishikof’s (M.S.E. 1988) parents sat him down in their living room, and he watched humans walk on the moon for the first time. “I always knew I wanted to do space stuff,” Brian says, and so his career has been dedicated to the exploration of the cosmos. Brian completed his master’s in December 1988, and with perfect timing: The Canada-United States Free Trade Agreement (CUSFTA) went into effect in late November of that year, allowing trade of services and introducing opportunities in various cross-border technical areas. Brian moved to Houston, Texas, on a free-trade visa to work for the company that is now Boeing. That year, he had the privilege to meet the crew of Apollo 11 at a reunion celebration in Houston, the very same astronauts he watched walk on the moon 20 years prior. In 1992, when he saw the opportunity to become an astronaut for the International Space Station program, Brian threw his hat in the ring. One of more than 5,000 people who applied, Brian advanced to the top 100 candidates after filling out countless forms, submitting an essay, and presenting a speech on our perspectives on the roles of human and robotic exploration. The Canadian Space Agency held group interviews in a number of locations across North America, one of which was in Washington, D.C. Brian continued on to the final 50 and then to the final 20 before being eliminated due to a minor medical issue. The selection process involved extensive medical examinations and tests, psychology questionnaires, timed hand-eye coordination exercises, presentation of prepared remarks, and a panel interview, as well as press conferences and industry visits. A few years later, Brian moved to Chandler, Arizona, to work on a constellation of commercial communication satellites. His career followed the progression of that project from design, through development and test, and finally to deployment and operation of 66 satellites from a control center in Virginia. It was a unique, formative experience that took just over two and a half years, and provided him with a more detailed and wholistic view of spacecraft and space systems. But his love of human spaceflight brought him back to Houston. In 2003, recently married and with a brand-new baby, Brian quit his job upon realizing he felt more at home with a small company, and cofounded Odyssey Space Research (www.odysseysr.com). 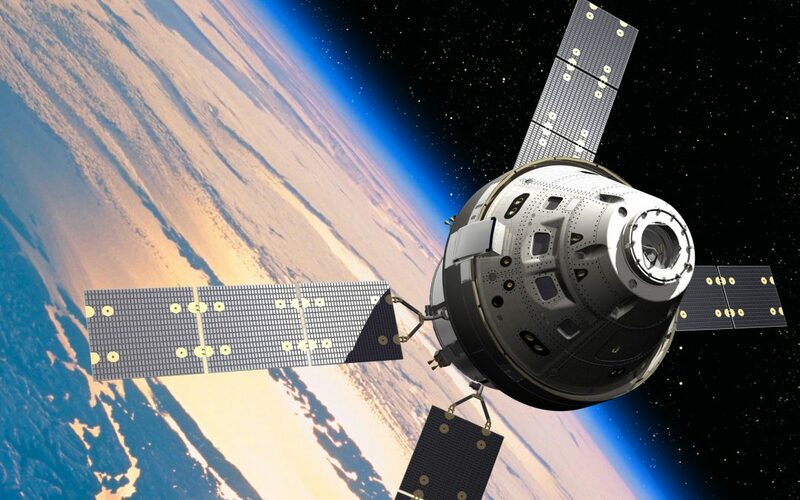 Odyssey specializes in spacecraft guidance, navigation, and control, including flight software and simulation. “NASA is our primary government partner, so if there is a human space flight project underway, we are almost certainly involved.” In a TEDx Talk from 2012, Brian spoke about one of the company’s most visible accolades—getting an iPhone to the International Space Station for the first time in history. Brian explains that iPhones use sensors that are essentially commercial versions of what is used in space flight. Specifically, the iPhone 4 had accelerometers and gyroscopes, which work together to trigger screen rotation (for example) when the iPhone is turned on its side. Brian knew there could be a way to use this capability on applications in space. He wanted to show you could use a $400 phone, rather than a purpose-built device costing orders of magnitude more, to conduct tasks in space. Brian and his company, with the cooperation of both NASA and Apple, undertook to develop the first ever Space App. It was added to the app store and, of course, utilized in space. 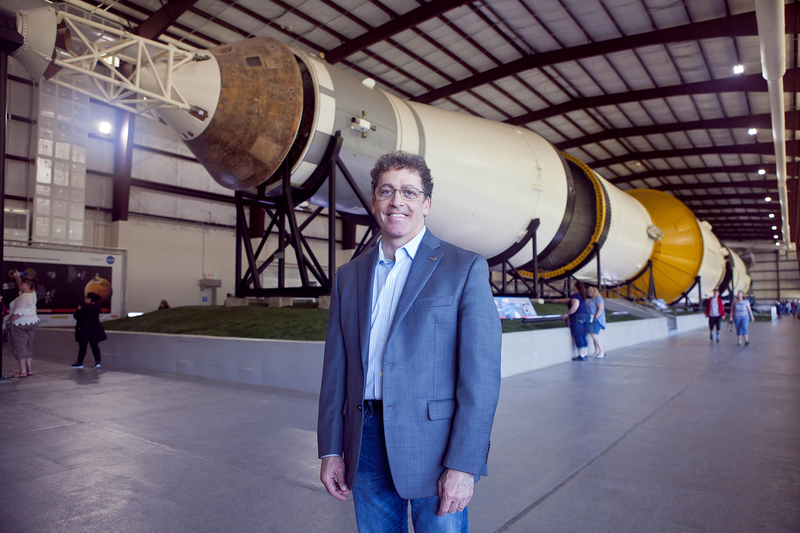 In addition to being CEO at Odyssey, Brian currently is an invited lecturer and sits on the Board of Trustees of the International Space University. Brian holds a number of honors, including the NASA Space Flight Awareness Flight Safety Award (a team recognition), the NASA Silver Snoopy Award for “outstanding achievements related to human flight safety or mission success” awarded by astronauts, and most notably, the NASA Distinguished Public Service Medal in 2009, which is the highest honor conferred by NASA to a non-government employee.